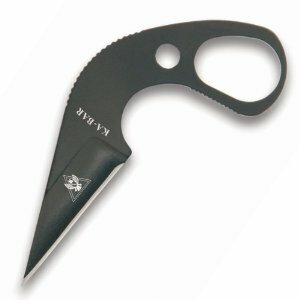 Best Self Defense Knives For Aid In Every Situation! Self defense knives are something that should be used as a second or third option, in my opinion, when it comes to defending oneself. However, you grab what's on hand at the time. That's why it's good to have two or three options at hand at all times. For example, if you are walking at night or in a questionable area, my recommendation is to have pepper spray, and a mini stun gun at hand. But you may also want a self defense knife. You should consider having self defense knives at hand in your home and or your car or truck as well. However, they are lethal. One cut and your attacker could bleed out. If this worries or scares you go with non lethal weapons as your option. The best self defense knives are those that are easy to access, and don't require you to unfold them in an emergency. The first two are clever because they are camouflaged as a brush or comb, and highly recommended for your home, car, and purse. But the last two are also good and probably more effective in the field. Here are the 4 best self defense knives! With this in your purse or laying around your home or car you'll feel confident that you have something that you can defend yourself with at all times. Just grab it and pull the knife out. Or just use it as a hair brush. This self defense knife is actually a stiletto dagger. One of the more effective knife categories on the market. It measures 3 1/2 inches, and is 1/2 inch thick, which ends in a needle type point. The handle is easy to grip and hold. 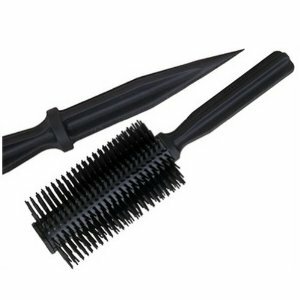 It's weight is only 2.2 ounces, and the actual brush is 7 7/8 inches long without the brush, and 8 1/4 with the brush. The Safe Maker by Cold Steel is a push self defense knife, and they have been making these types of knives for 25 years. They are quite popular among the police force and military personnel. The reason they are so popular is because they provide the cutting range of a large knife, but in a small compact, easy to use design. In addition they are easy to carry, and they last forever. The Safe Maker is made from one piece of steel. The steel used is called AUS 8A, and the process used to treat and form the metal produces a superior knife that is very difficult to break. 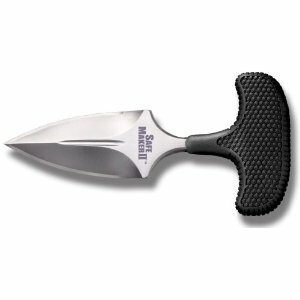 The knife has a drop point shape designed for law enforcement. This list of the top 4 self defense knives should help decide upon the right one for your needs. 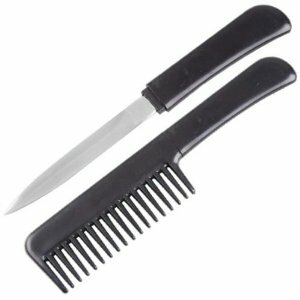 Why not get the brush or comb knife for your home and purse, and then carry a Safe Maker or a Last Ditch (my personal favorite) on your person, or in your car, in addition to some pepper spray or a stun gun. That may sound like overkill but you never know, right? Be sure to keep all of these self defense knives away from children. If you have children and need a self defense weapon that you can get to in an emergency, try something with a safety pin like a stun gun and pepper spray.